One of the biggest boy bands of the late '90s is making a combeback! No, not *NSYNC ... sorry. Nick Lachey, Drew Lachey, Jeff Timmons and Justin Jeffre -- A.K.A. 98 Degrees -- are reuniting 10 years after their last single together, according to RumorFix.com. The group will reportedly go on a 15-city tour this summer between July to August ... with an official announcement expected in the next week. Speculation of a reunion began with a tweet from Nick yesterday saying "is it me, or does 98degrees.com look a little different that it did yesterday? just saying." The website showed off a brand new logo and design. It's going to be a busy year for Nick, who is also expecting his first child with wife Vanessa Minnillo in late summer/early fall. 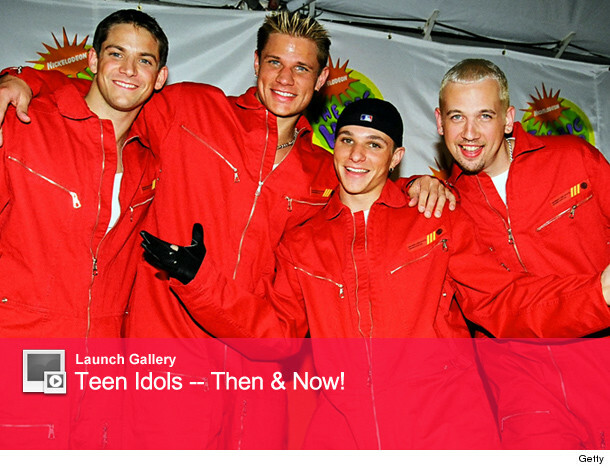 98 Degrees, NSYNC, Backstreet Boys and more -- check out what all your favorite former teen idols look like now in the gallery above! Nick Lachey & Vanessa Minnillo Expecting! Photos: 98 Degrees Star Jeff Timmons Strips for Chippendales!